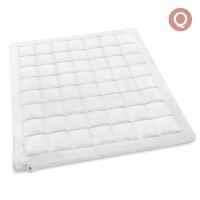 Indulge in this finely constructed microfibre quilt. Have a comfy and soft quilt to cover on d.. This is made with 100% premium quality Australian Merino Wool and 100% pure soft down proof co..